I knew what I was up against: 28.4 miles, 9500′ of elevation gain, 160 flights of stairs, and only one full day to digest Thanksgiving dinner. I had heard stories of the strife known as the fourth Dipsea crossing, the perils of improper pacing, and the high level of talent the race attracts. All smiles for the time being. Taylor and I arrived at Old Mill Park roughly an hour before the start. Other than an above average bathroom line and sporadic tents for organizations such as Ultra Running, there were few signs that an ultramarathon was about to kick off. After checking in at the start tent, I soon recognized a famous face – the one and only Ann Trason. Her claim to fame is winning Western States. Fourteen times. Christopher McDougall chronicled her legendary performance against the Tarahumaras at Leadville 1994 in his top seller Born to Run – Ann took second overall after leading for a bulk of the race. Despite her numerous ultra finishes, wins, and course records, Ann has never run the Quad. Why? Because the Quad is “stupid” and she hates stairs. Needless to say, I was thrilled to start running after that vote of confidence! 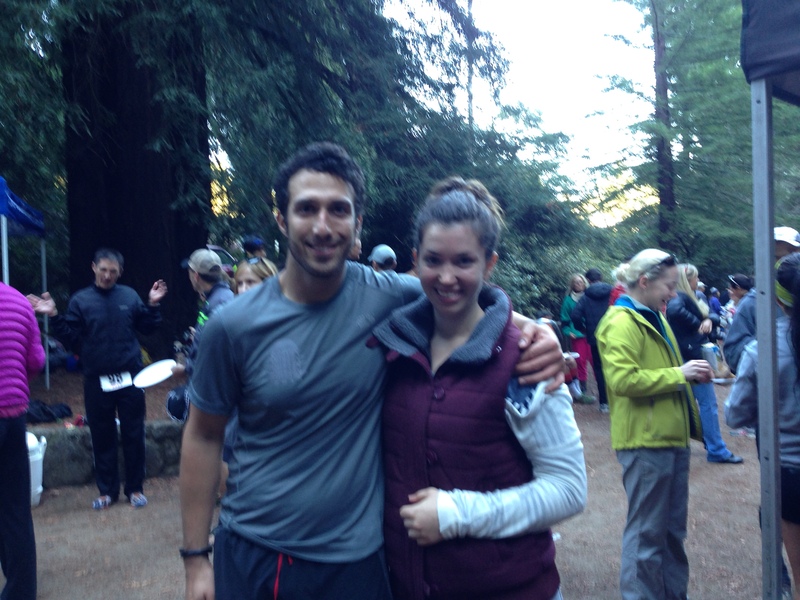 Ann Trason and I before the start of Quad Dipsea. My goals were simple – run steady, stay fueled, and finish strong. The race started with a slog up the stairs – there were simply too many people to do anything but walk. I felt the benefits of a down week and ample stretching immediately, and logged a smooth 1:20 on my first crossing. Knowing that I still had over 7000 feet of elevation to go, I took the second leg very easy. The rapid climb from Stinson Beach (roughly 2000′) to the top of Cardiac over the first two miles brought the first signs of fatigue, and I could feel the lactic acid pooling while my quads screamed for mercy on the ascent. The downhill was not much better, and some GI issues had me cramping ahead of the climb back to the stairs. I hit the turnaround at 2:57, ate a PB&J courtesy of Ann Trason, and replenished before entering uncharted territory. Mostly smiles after a lot of hills and a lot of pizza. I won’t soon forget the pain I felt climbing up 688 stairs. 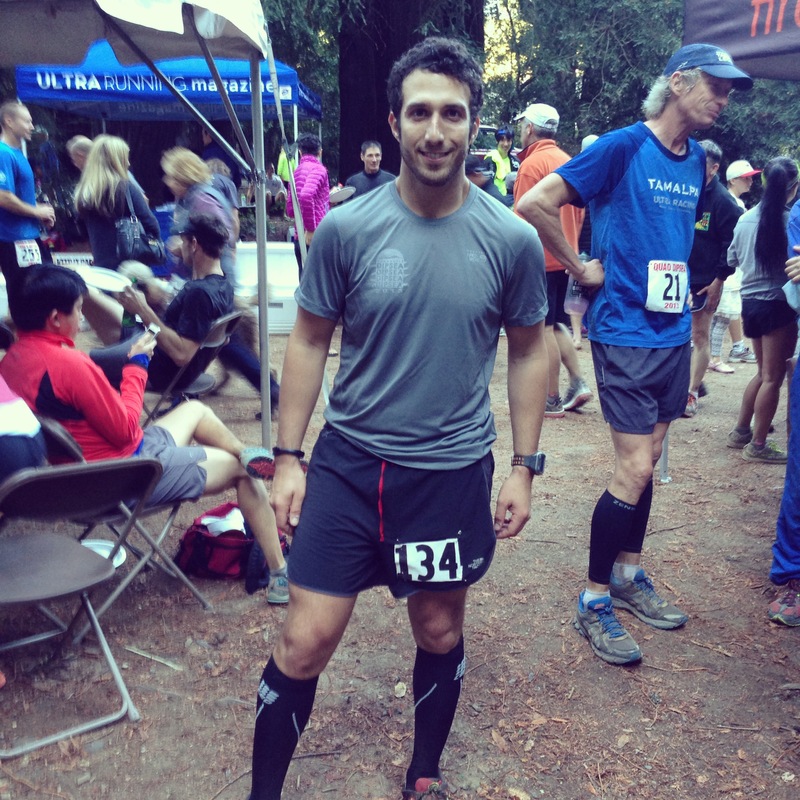 Taylor and I ran the Double Dipsea in June, I had run it myself back in 2011, but the third leg was different. It soon became evident that starting another Double Dipsea after running a Double Dipsea was not a matter of doubling the pain and projecting. By the time I started the ascent up Cardiac, I was low on fuel and in serious danger of bonking. Luckily the volunteers were amazing and provided a full spread of food and drinks – everything from the standard Gu offerings to pumpkin pie, cola and candy. I chugged a few glasses of coke, downed a Bonk Breaker bar, and pushed on toward Stinson Beach, ultimately hitting the turnaround to the fourth and final leg in 4:45. Prior to running the Quad, I had heard horror stories of the fourth leg. I think the most commonly used phrase I found was “death march”. I’m not sure whether it was all of the food I downed at the last two aid stations, but in all honesty, the fourth leg was not my worst. I could easily see how it could have been had I not fueled appropriately after a reality check during leg three. Sure, it hurt – a lot. I was in the pain cave. At times, my fellow racers’ suffering and shuffling reminded me of a scene from Saving Private Ryan. Deep down, I knew that I was no more than seven miles from the finish, and I was well on track to come in under seven hours even if I walked the entire last leg. I soldiered on and broke the tape in 6:31, good for a top half finish – 115/249 overall. Seven slices of pizza and a recount of Taylor’s impromptu trail half that gained 3500′ later, we were ready to pack it in and head home for some much needed rest and relaxation, aka beer, treats, and TV. Next up: North Face Endurance Challenge 50K this Saturday. Way to go, and good luck! Thanks! Dean Karnazes is usually there (he lives close to the race start) and I’ve met him the past two years. The 50-miler always attracts top talent, so it should be a great day. Amazing! This was a great recap (I say from the comfort of my easy chair). In all honesty well done mate, this sounds like a truly awesome time. I would love to get out and run a Dipsea…any Dipsea. Thanks for letting me know what I would be in for should I take the plunge. 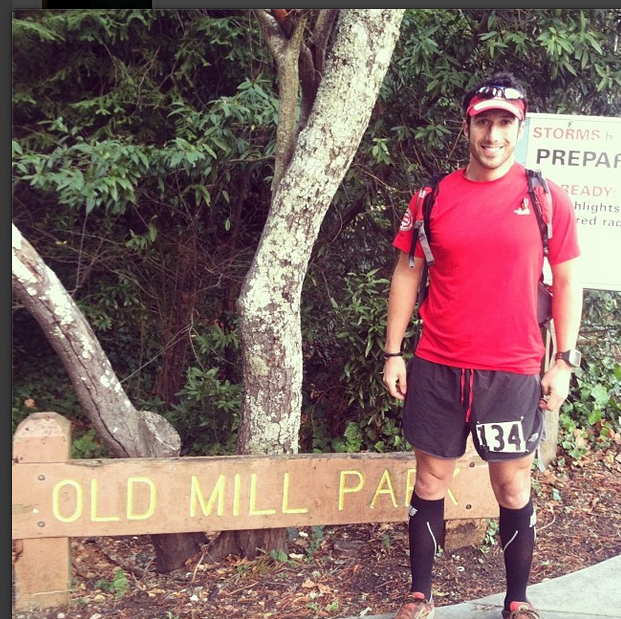 Good luck at the NF 50k. Thanks for the kind words. You should make it a destination race! The Double is your best bet – both the Dipsea and the Quad have limited registration, but registering for the Double on race day of is not out of the question. Well done! and good luck on the upcoming race!